The Energy-saving servomotor is installed in the Sewing Machine head thereby providing improved responsiveness and increased needle penetration force. Both the compact-sized control box and the operation panel are integrated with the machine head. The use of the newly-developed thread take-up lever increases the needle bar stroke (35mm). 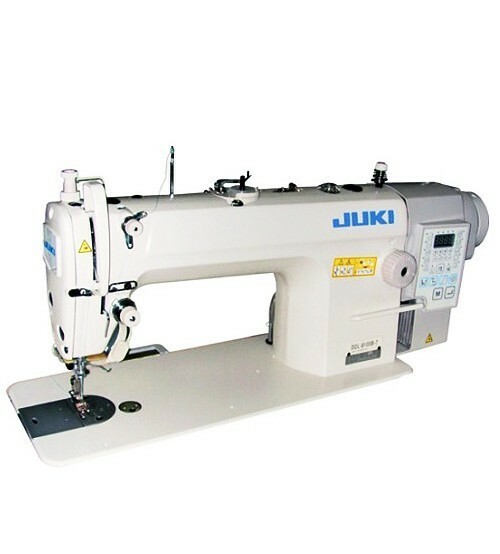 With this feature, the JUKI DDL-8100B-7 is able to sew many different types of materials ranging from light-weight to medium-weight denim.